As our regular visitors have undoubtedly noticed, Flair Interiors has undergone a bit of a renovation! With bigger, bolder graphics and a more vibrant color scheme, we’re elated with how our new site captures the look, feel and imagination of Flair Interiors. Among the biggest changes is the new slideshow on our front page. Now filled with massive, colorful pictures that showcase a handful of our amazing products, the slideshow is a warm introduction to new visitors and a great way for our existing customers to explore our ever-expanding product lines. Another major change is a bit on the technical side: mobile responsiveness. Being 2016, we understand how important it is to have a website that displays correctly on all devices. That’s why our new site is built to be 100% mobile friendly, automatically scaling and adjusting itself based on the size of our visitors’ screens. So, whether this is your first visit ever or your first visit this week, we encourage you to click around and explore our new site! A good place to start is our virtual showroom, which can provide you with a glimpse of our window treatments, custom upholstered furniture and decorative accessories. Once you’ve had your fill there, hop on over to our services pages where you’ll find even more in-depth information about the products and services that we offer. At Flair Interiors, we’ve offered custom window fashion and upholstered furniture to clients throughout Southwest Michigan since 1985. With a talented team of visionary designers and installers, we’re confident that we can help you transform your home into a stunning, breathtaking sanctuary. 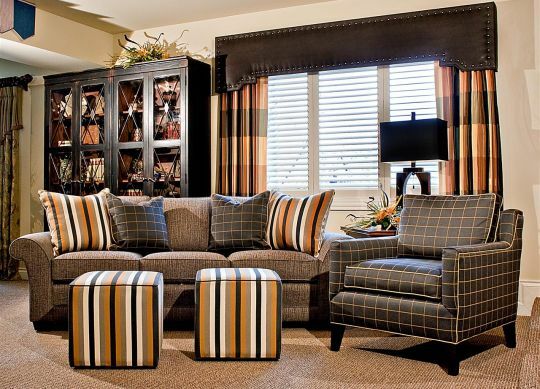 So, if you’ve been looking to update your home’s interior, we assure you: you’ve come to the right place! Contact us today – or stop by our showroom – to begin planning for your redesign!